Turn on the grill, turn up Springsteen's Born in the USA, light off some fireworks, and then tell everyone to go home in the middle of the afternoon—July 4 is about freedom, and you're free to sit inside and read articles about video games as much as you damn well please. This is your gaming news update for the week of June 30. Fox loves BioShock Infinite, Lindsay Lohan sues Grand Theft Auto for making her relevant again, and Atari's serving up breakfast food at Denny's. 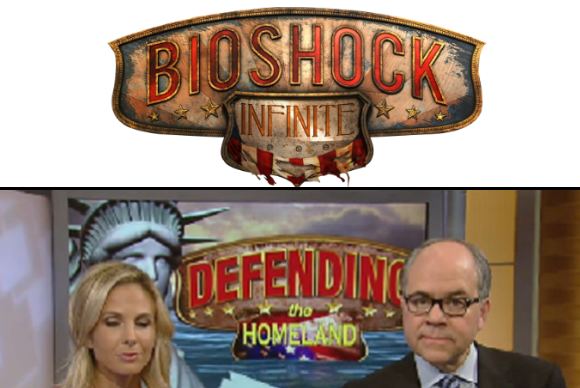 If you, by chance, watched Fox News this week you might've spotted a familiar looking logo—somebody in the graphics department clearly played a lot of BioShock Infinite. To be fair: BioShock Infinite has a sweet logo. Thanks, Kotaku. There is a Transformers MOBA with an open beta this weekend. There's a Dead Island MOBA running a closed beta. There is also a Witcher MOBA. Everything you love is dead. Lindsay Lohan is following through on her threat to sue Rockstar over unauthorized use of her image in Grand Theft Auto V.
BioWare showed off a Dragon Age: Inquisition party member this week, Dorian, who lead series writer David Gaider called "fully gay." Then he backpedaled and said what he meant was "legitimately gay." Leaving aside awkward phrasings, Gaider writes that Dorian's sexuality "added an interesting dimension to his backstory, considering he comes from a place where 'perfection' is the face that every mage puts on and anything that smacks of deviancy is shameful and meant to be hidden." I'm normally not too into speed runs—where people play through games at record-setting speeds—but there's been a back-and-forth shootout in Fallout 3 for the last week that's worth watching. All you need is twenty-three minutes or so—that's about how long the two frontrunners (YouTube users BubblesDelFuego and Tom Roe) are taking to complete the entire game at this point. Below is Tom Roe's 23:13 run, which has since been surpassed by a 23:11 BubblesDelFuego attempt. Let's be clear: Nobody should ever step foot in a Denny's of their own volition. But if you happen to find yourself there, say at two in the morning when nothing else is open, well at least you can take solace in knowing that Denny's loves video games. 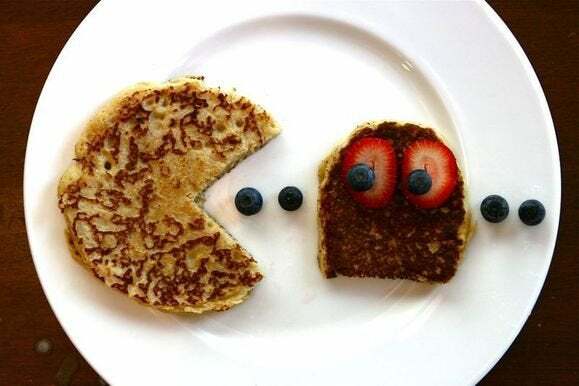 The diner-just-barely-better-than-Waffle-House teamed up with Atari for a suite of classic game makeovers—they're bringing breakfast-themed versions of Asteroids, Centipede, and Breakout to mobile devices (titled Hashteroids, Centipup, and Take-out, respectively). I'll leave you with this soul-crushing description of Hashteroids: "You're aboard the SS Denny's Condiment Transport ship and the mission is clear: deliver 40 tons of condiments to the 4th planet in sector 7d." 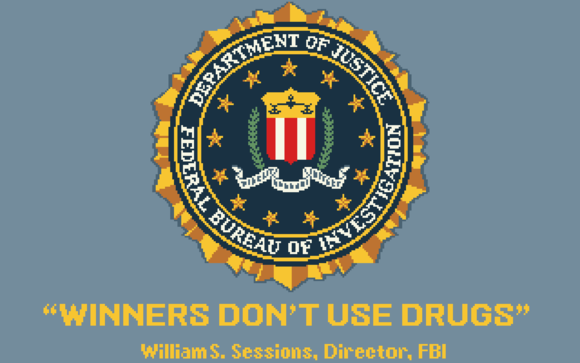 A game titled Hashteroids featuring "delivery" (read: smuggling) and it's not about marijuana? Poor Denny's. The dumb just keeps on coming, as this week Activision announced you can buy the "Blunt Force" character pack for Call of Duty: Ghosts. This gives you armor and weapon skins featuring the cannabis plant, commonly known as marijuana or "weed." Did your wallet not suffer enough from the Steam Summer Sale? Then it's your lucky day—the Humble Store is serving up its own set of deals every day, with 10% of your purchase automatically going to charity. See, you're not buying those video games because you're selfish—it's for charity! The sale runs through Wednesday, July 16. Hear that? It's me gorging on BBQ and shooting fireworks into the sky instead of paying attention to video games. Still, we have a few articles you might've missed this week. Escape Dead Island is like Groundhog Day with zombies, Reading Rainbow is coming to consoles, Microsoft acquired software used to debug Unity games, and the vastly improved second-gen Oculus Rift started shipping this week. We've also got a review of Sniper Elite 3 , a review of the Digital Storm Krypton gaming laptop, and if you're looking for something to do with your three-day weekend, well, why not check out our list of deep and meaty PC games? Now if you'll excuse me, I have some brats to eat. Thanks to Kelli Crowe for the primary image. Yes, I know Pac-Man was a Namco title.